If you would like to discuss the spoilers or predictions bleach 353, please leave a comment below. You can also read previous Bleach 352 manga chapter. The pulse cutting up the chaos is quickening…!! Ulq (thought) “Regenerating his arms and legs and body is just a farce. You can’t bring back the organs that were blow away. If I hadn’t ended it with that blow just now, I would be the one dying over there. Kurosaki gets up at once. Ulq pulls out the sword Kurosaki stabbed him with from Ishida. He throws the sword in front of Kurosaki. Kurosaki: The one you fought up till just now was a me with the hollowmask and without a consciousness. the fight will go on endlessly…. Hime has a bewildered? facial expression. and Ulq disappears in a rustling motion, like sand. 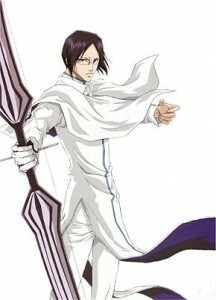 Trivia: Uryū Ishida (石田 雨竜, Ishida Uryū) has displayed a great amount of spiritual energy. He has obviously mastered the Quincy ability of Reiryoku absorption, taking in spirit particles and spirit energy alike; This on top of his own energy reserves lends him plenty of strength in combat.